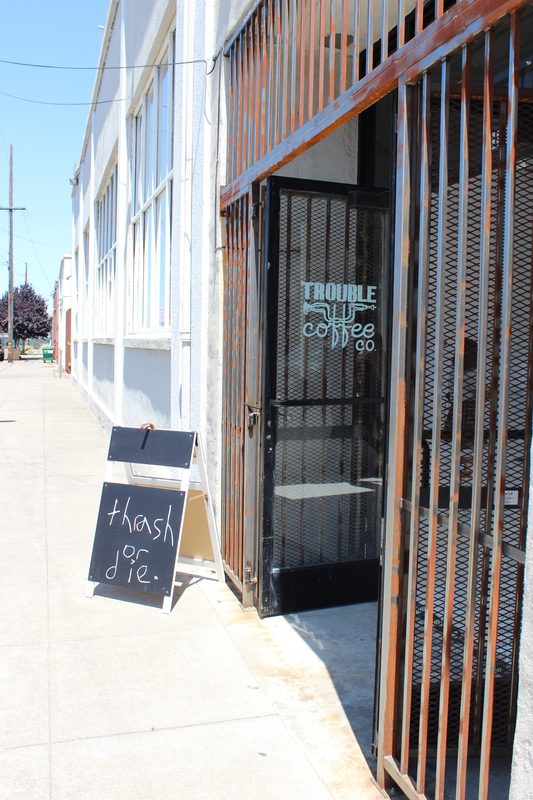 Trouble Coffee quietly opened a new location in West Oakland a few weeks ago. 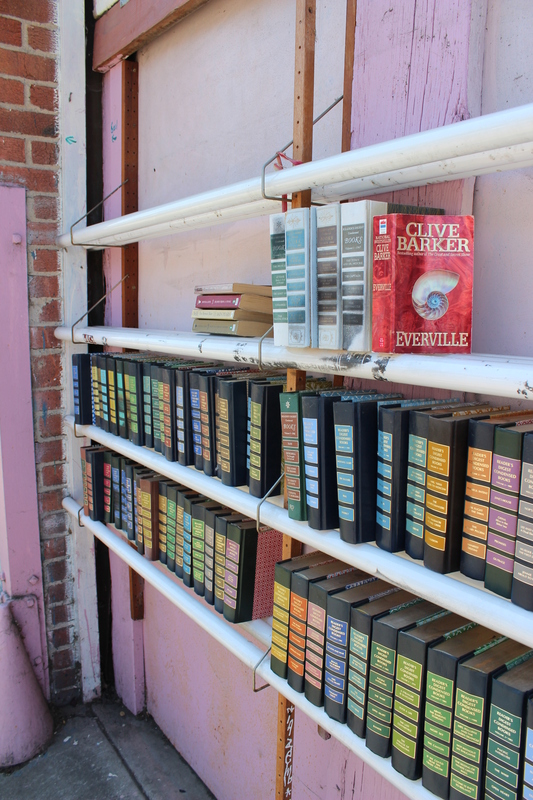 I have explored the many wonderful neighborhoods of Oakland but haven’t spent any time in West Oakland. There have been a few stories about it being an area that’s on track for change. I do believe it’s headed in that direction, but I’m sure it will take some time. There are streets with boarded-up houses and abandoned warehouses but there are also new developments popping up and signs of construction. This is a good thing and I hope the character, culture and diversity of Oakland that many of us love is kept, despite the slow gentrification of even this neighborhood. 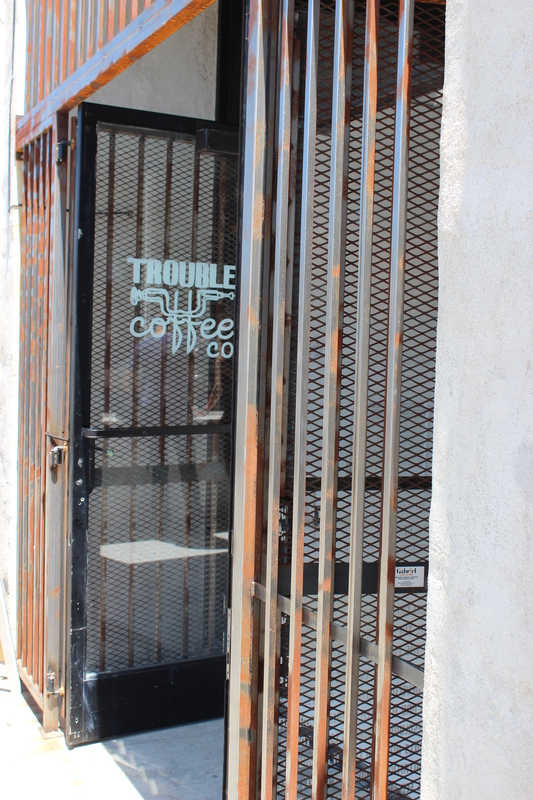 Trouble Coffee is in a residential area, located on a corner across from an old brick building. 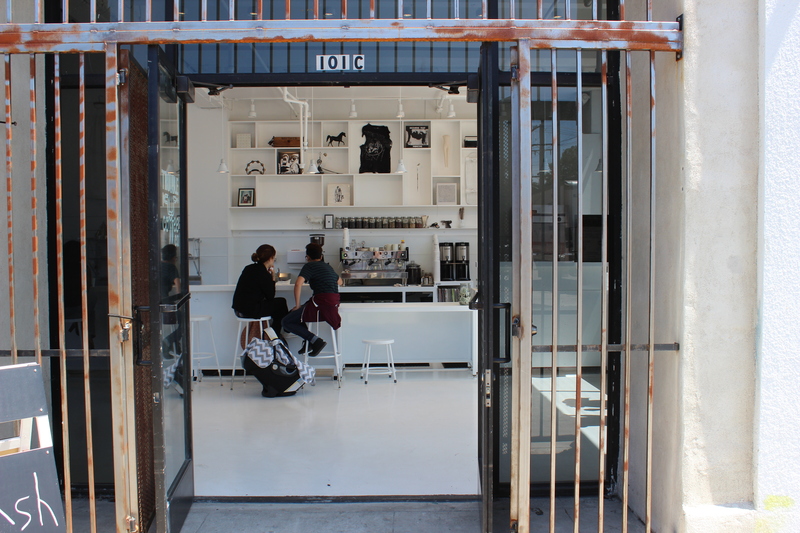 Irongate bars surround the outside of the cafe, but as soon as you walk inside, you’re transported to a minimalist and zen dream. 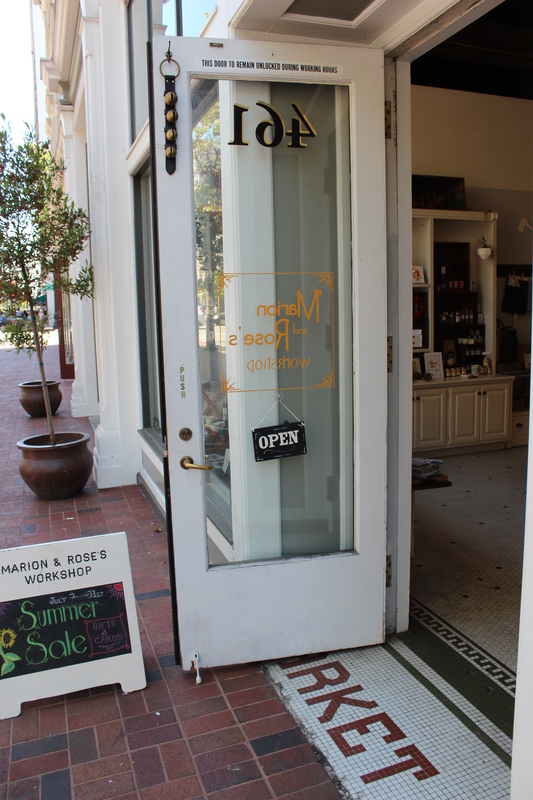 All of the walls are white with natural light beaming in from the large windows surrounding all sides of the storefront. 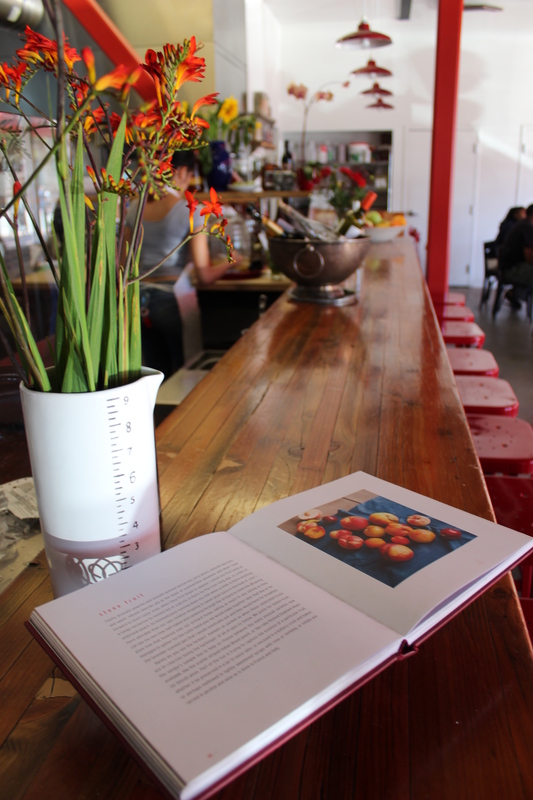 In the corner, is a large white table with bench seating surrounding two sides of the table and additional stools at the bar. I ordered a latte to enjoy in one of their handmade white ceramic cups with a slice of their famous toast. As one of the baristas was preparing our coffee, another cut a thick slice of bread, toasted it and topped it with cinnamon and sugar. There is no menu so you have to know what you want or ask what they’d recommend. 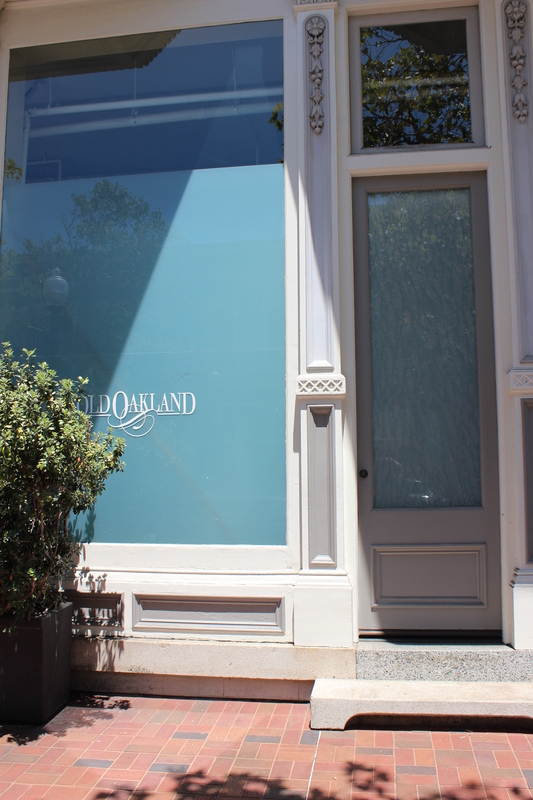 From West Oakland, we headed over to Old Oakland, the historic district of downtown Oakland. It is Oakland’s hidden gem. 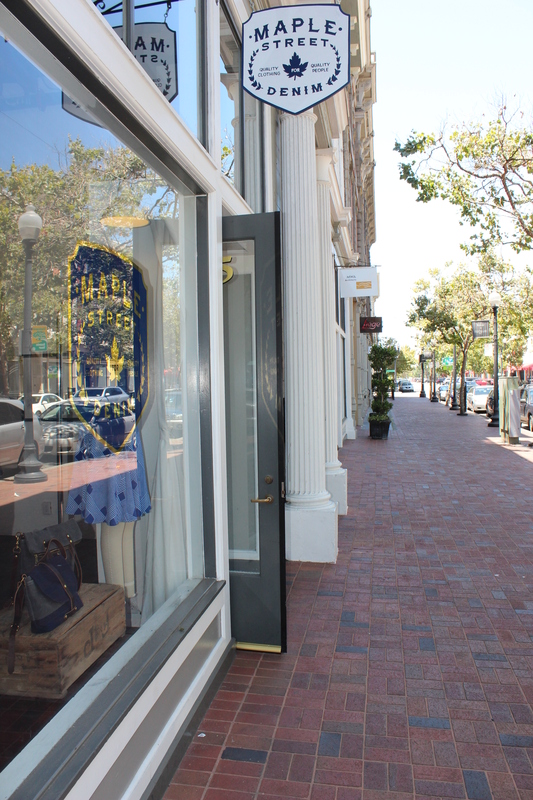 The beautiful architecture has been preserved and new boutique shops have continued to pop up, adding to the vibrant neighborhood. 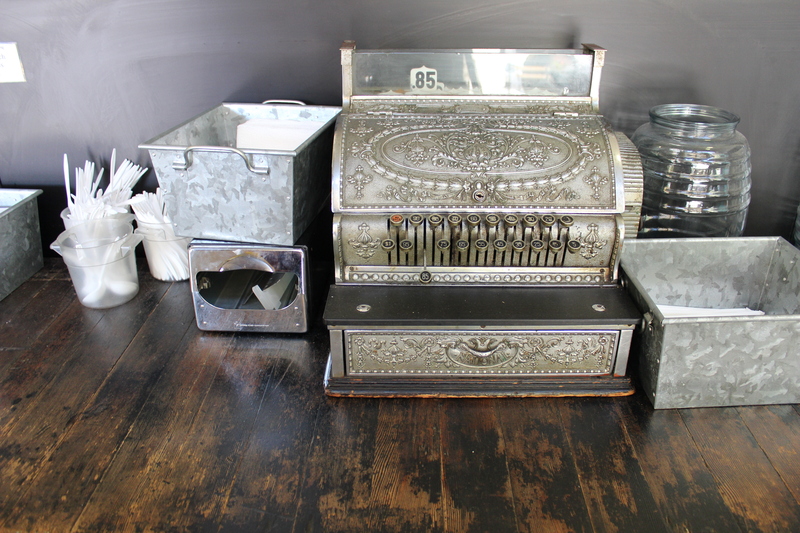 Swan’s Market is a must-visit and one of my favorite places. It’s a very small version of a food hall. The large open room filled with beautiful wooden tables that feature a mix of seating for two, four or larger communal tables. 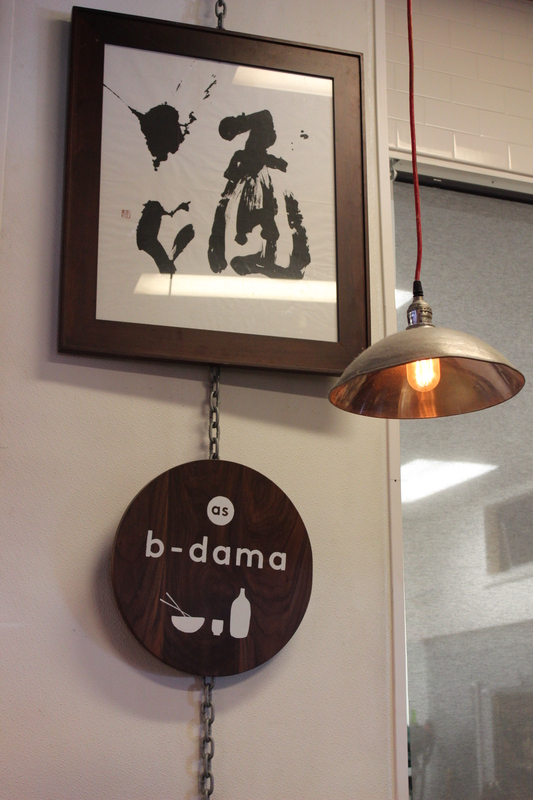 It’s hard to have a favorite in terms of the food because each spot is unique – B-Dama, Cosecha, The Cook and Her Farmer, Miss Ollie’s, and other vendors that make this a foodie hotspot. I love our new home in Berkeley and being that much closer to Oakland. Looking inside Trouble Coffee in West Oakland. 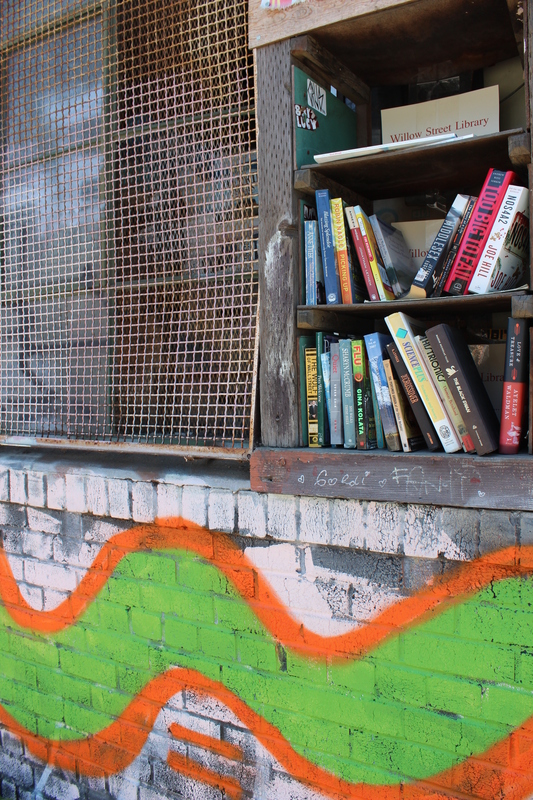 The free outdoor library on Willow Street across from Trouble Coffee. 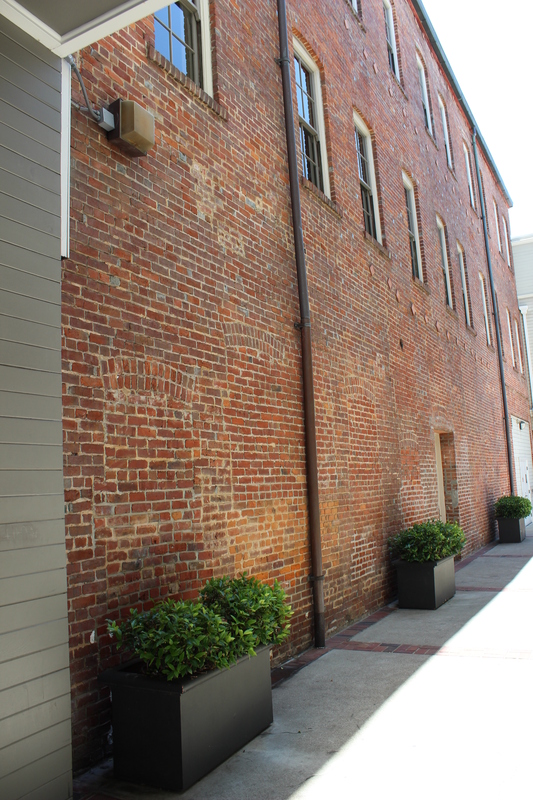 The brick lined streets of Old Oakland. 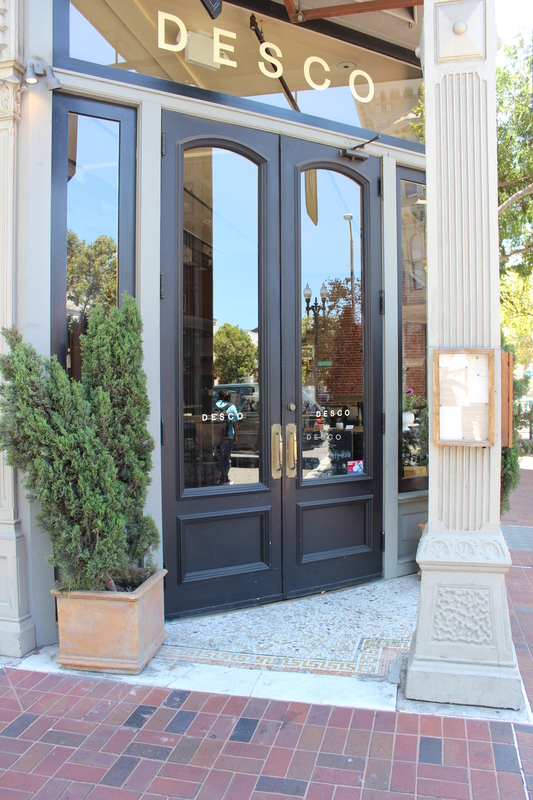 The vintage-style bistro in Old Oakland serving seasonal Italian food. Inside Ratto’s International Market & Deli. Amazing sandwiches!!! The bar at The Cook and Her Farmer inside Swan’s Market.